SOMS and Dutchmen SPIRIT WEAR Store!!! REGISTRATION HAS BEEN EXTENDED!!! 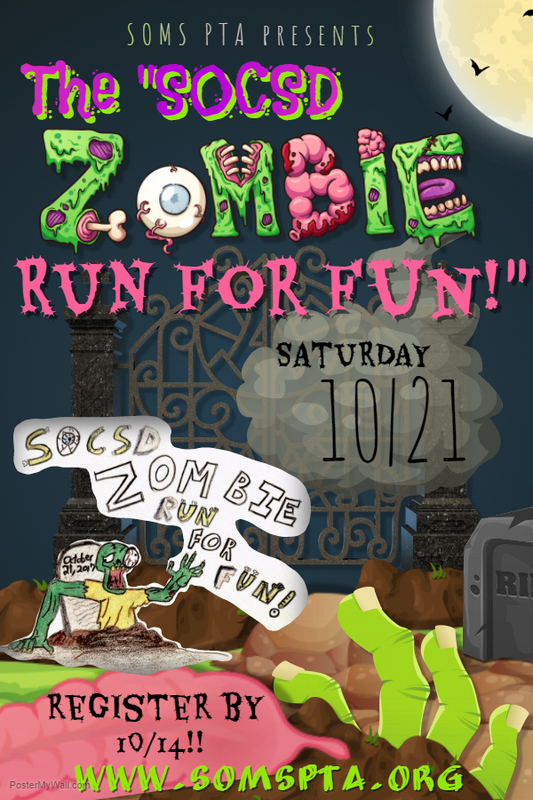 The first 100 to register by 10/20/17 receive a limited edition “Zombie Run” T-Shirt. All proceeds support assemblies and cultural arts programs for South Orangetown Middle School students. If you choose to be invoiced via PayPal, the invoice will be sent to you once the registration is processed – generally within 24 hours.